COUVRe Scalp Concealer is cosmetic camouflage for those with a more severe hair loss or scalp show-through.This product colours the scalp, immediately eliminating the contrast between thinning hair and the scalp, so hair looks thicker and fuller. COUVRé Scalp Concealing Lotion make hair look instantly thicker by eliminating the contrast between thinning hair and the scalp.This waterproof, dry-touch formula with natural pigments conceals the scalp, resulting in hair that looks fuller and thicker. This great scalp concealer is supplied in a tube with an applicator for easy use and does not smear or smudge. COUVRé resists water but is easily removed with normal shampoo. One tube can last between 3 and 4 months and this scalp concealer can be applied to either damp or dry hair. 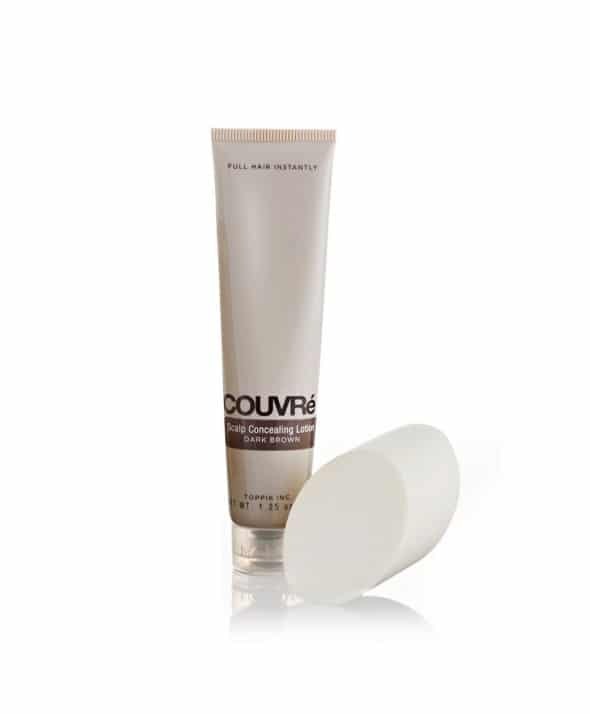 COUVRé contains no dyes and does not block pores or interfere with normal hair growth. 2. Apply a small amount of COUVRé to the sponge applicator. 5. 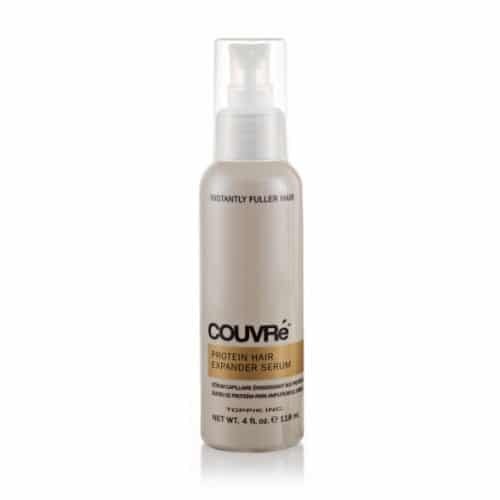 For best results, style hair with COUVRé Protein Hair Expander Serum before applying.